There&apos;s a new aftermarket package for the Audi A7 and it&apos;s by the Bavarian tuning company ABT. ABT tuning firm, being the Germans they are, describes the package as a "magical moment" and an "elegant feline predator". With that said, it&apos;s safe to say that this car modification kit will be unique and interesting, to say the least. The ABTmodification package is set to include upgrades to the Audi&apos;s engine, suspension and exterior. 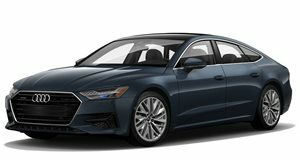 The performance upgrade includes a boost to the 3.0-liter TFSI and 3.0-liter TDI V6 engines, giving it new output of 282-horsepower and 310-horsepower, respectively. The supercharged gasoline unit also had its output increased to 410-horses. ABS has also installed a Level Control module that lowers the air suspension, as well as a set of custom lightweight alloy rims coming in a choice of 19- or 21-inches. Finally, the exterior upgrades include a modified front bumper, side skirts, and rear apron.